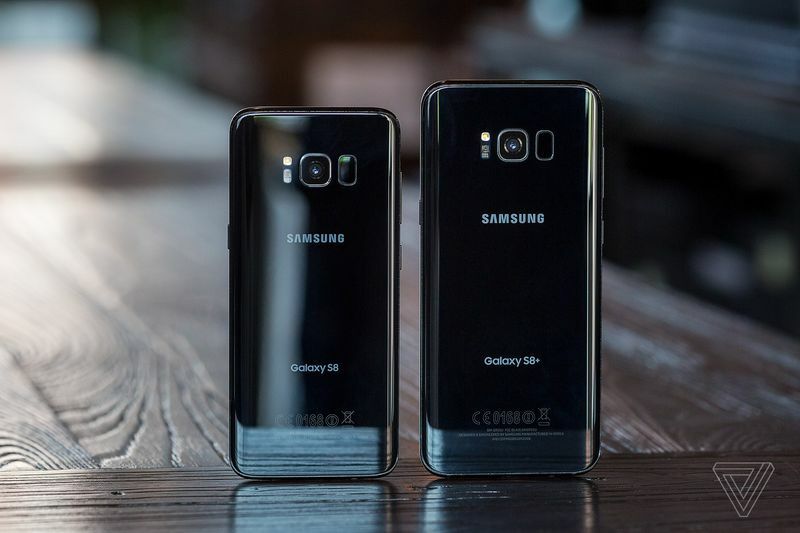 Reviews of Samsung's new Galaxy S8 and Galaxy S8+ hit the web today, and given each smartphone's potential similarities to Apple's rumored iPhone with an OLED display, we have rounded up some of the impressions below. The vast majority of reviews praised Samsung's so-called Infinity Display, which takes up over 80 percent of the front of the smartphones. 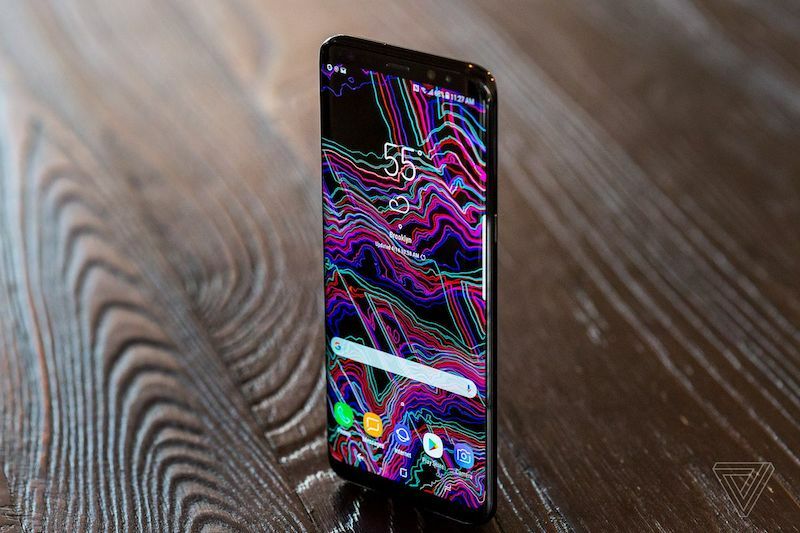 The design results in smartphones with large 5.8-inch or 6.2-inch screens that are still easy to hold in one hand or put in your pocket, according to reviews. … I’m a fan of the new shape and the fact that it lets me have a much larger display without making the Galaxy S8 too unwieldy to use. On top of that, the Quad HD Super AMOLED panel is wonderfully vibrant and sharp, and it’s very bright, even outdoors under direct sunlight. It’s no exaggeration to say this is the best smartphone display I’ve ever seen. I’ve been carrying the Galaxy S8+ around for a few days now, and it fits in my pocket every bit as comfortably as the 5.5-inch iPhone 7 Plus. And you’re able to operate that phone with a single hand, so this device will be no problem. It’s an impressive feat of engineering. At 5.8 inches, the Galaxy S8’s screen is larger than the iPhone 7 Plus screen, but packed on a slimmer and more attractive body. The iPhone looks chunky and outdated by comparison. We’re getting closer and closer to the dream of having a phone that’s all display on the front. A 6.2-inch smartphone sounds comically large. However, the Galaxy S8+ is unusually narrow, with a screen aspect ratio of 18.5:9. Plus, the edges are tapered — front and back — much in the same way the Galaxy S7’s back edge was. The result is a phone that looks a bit long but is comfortable to hold and, at least to my hands, doesn’t feel large at all. Samsung has drastically altered the rule that big screens mean huge phones. Even this smaller of the new Galaxy S models has a larger screen than the biggest iPhone, but it’s much narrower and easier to hold and to slip into a pocket. In order to achieve the larger display without significantly increasing the physical size of the smartphone, Samsung removed the home button from the front of the Galaxy S8. Samsung then relocated the fingerprint scanner to the back of the phone, positioning it next to the camera. Unfortunately, many reviews found the fingerprint scanner to be hard to reach and awkwardly positioned next to the camera. The fingerprint unlock feature has traditionally been programmed into the device’s home button. Seeing as the S8 ditched the button, it’s now on the back of the phone. The S8’s fingerprint sensor and the camera feel basically the same, which means I kept smudging the camera lens and unlocking the phone at the same time. The high placement of the scanner makes it difficult and awkward to reach with my index finger, even on the smaller Galaxy S8. I have to practically perform finger stretches before I can reach it with any sort of regularity on the Galaxy S8+. Second, because it is right next to the camera and has a similar shape and feel to the camera module, I frequently touch the camera lens instead of the fingerprint scanner, smearing the lens with all of my lovely finger oils. Apple is rumored to be working on a completely overhauled iPhone, and a display taking up nearly the entire front of the smartphone is a widely expected feature. Apple is also expected to remove the Home button, so it may too relocate Touch ID to the rear if it can't integrate it under the display. Nobody likes it in the rear! Did I accidentally visit SamsungRumors.com? No. But it looks like you accidently clicked on an article you weren't interested in then accidently commented and hit post reply. You have to be more careful to avoid accidents like this. The 8+ is exactly why Apple's iCloud ecosystem is so important for lock in. I had the "misfortune" to see and hold one of these things and it makes my 7+ feel like an antique, not dissimilar from the way my first iPhone made my old Blackberry feel. I know you can port everything over, and operate within an iOS environment (my family all have iPhones, we share calendars, iTunes sharing/accounts, etc.) but doing so is a PITA despite what many of the "easy" switching guides indicate. Said another way - if I could use iCloud on this I'd buy an 8+ so fast it'd make your head spin. Apple better deliver with the iPhone X or whatever it'll be called. They have real competition on the hardware side now. Apple will eat Samsung's lunch if they can get a huge display on the front with Touch ID integrated into the display. If they put the button on the back, then they're no better than Samsung. Why bother? It goes against every design principle Apple has ever had about the iPhone to put the button on the back. I don't think it will happen. Either we'll get a redesigned iPhone this year or we won't, but it won't have that stupid button on the back. How is it possible to have a headphone jack and still be waterproof?? AppleInsider is reporting ('http://appleinsider.com/articles/17/04/18/teardown-finds-samsung-galaxy-s8-battery-virtually-identical-to-fire-prone-note-7') that the S8+'s battery is very similar to the Note 7's. Beware! Samsung went too far with the size of the phone. I have been using it for more than a day now (I am not even a press guy) and it is very awkward to use especially one-handedly. S8+ is just pure insanity. No phone needs to be that large, it is taller than Note 7 and other phablets and is very easy to drop. And the glare and blur on edges is not good at all. YES, display is amazing, great detail, contrast, but I don't want edge display! I want flat....and they done goofed here. Not everyone wants curved phones, Samsung. Hopefully Apple can get it under the screen. Rear fingerprint scanner would definitely be awkward.